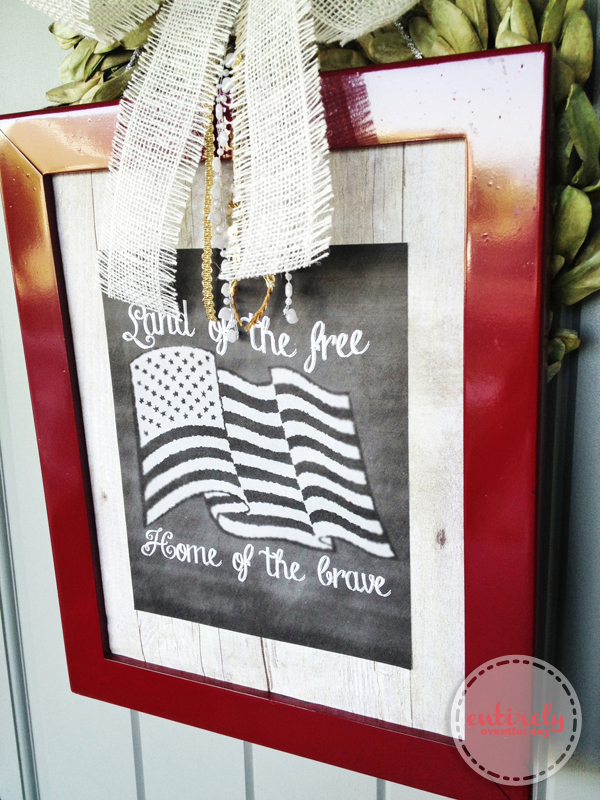 The Fourth of July is my husband's favorite holiday. I created this printable for our front door just for him. I threw this wreath together while he was on a run thinking he would be so pleasantly surprised when he got to the front door and saw it. He didn't mention it. I had to ask if he even saw it. Men! Anyway, I hope it strikes your fancy more than it did his (he swears up and down that he loves it). Uhuh. Want more? 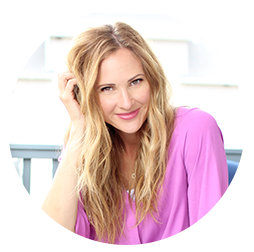 See all my printables. I already had this frame spray painted red for my Valentines Wreath. I used paper that looks like wood grain as a backdrop (I found mine at Hobby Lobby). I simply lay the paper over the frame mat and cut it to size. I applied spray adhesive to the print and stuck it on there (super-duper simple). 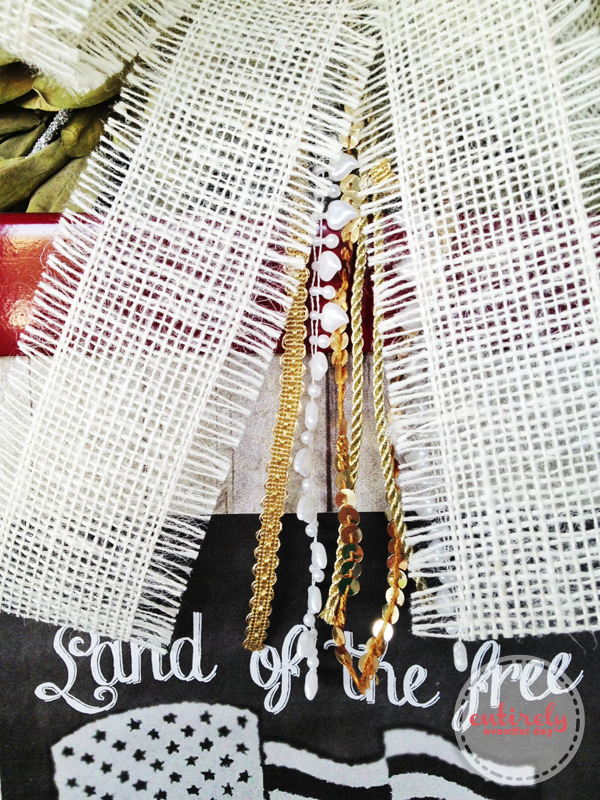 I gathered some random trims including, sequins, pearls, and other gold fanciness, and tied them, along with some burlap ribbon to my wreath hanger and let them hang down. 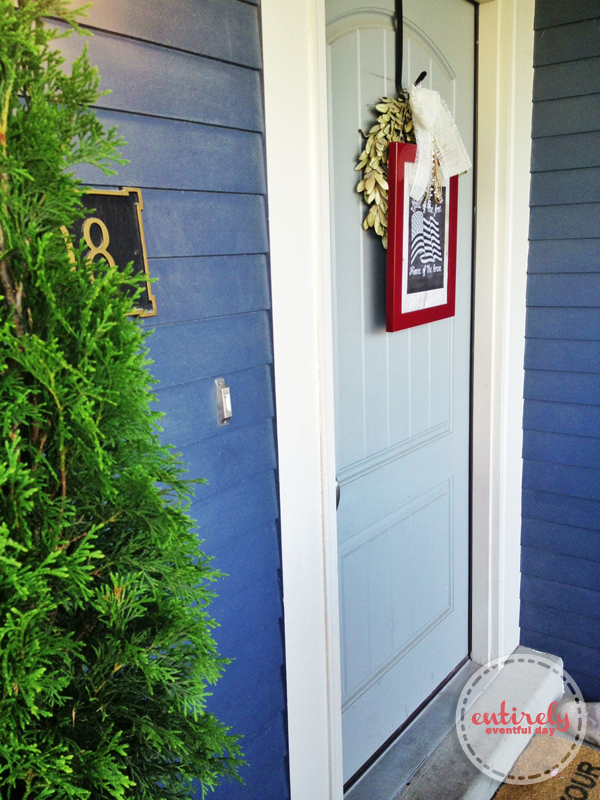 This simple, faux-boxwood wreath is the perfect backdrop for framed prints on the door. 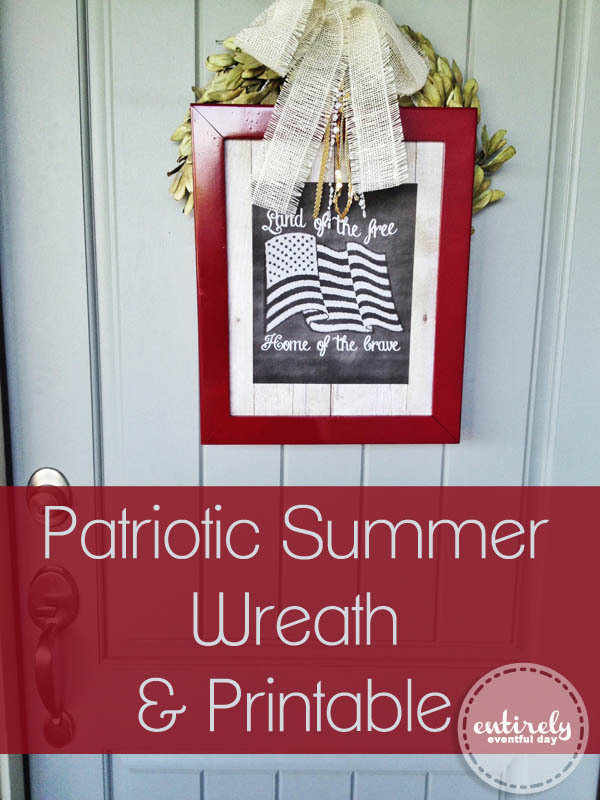 alt="Patriotic Summer Wreath and Free Printable. .. Love this design. 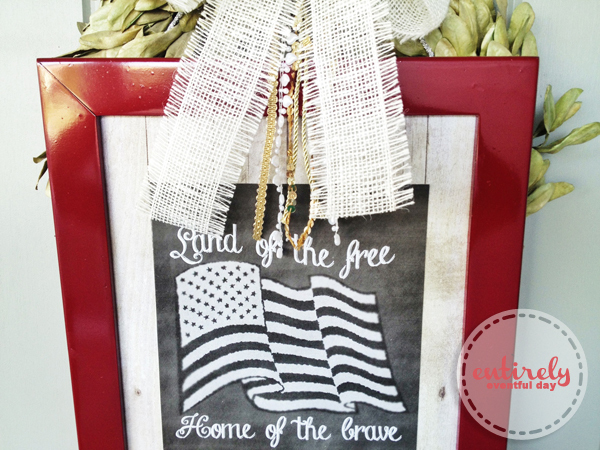 entirelyeventfulday.com #fouthofjuly #summer #printable"
Here's how it looks from my cozy love seat on the porch. Doesn't my blue house and this wreath make me look like, super patriotic? 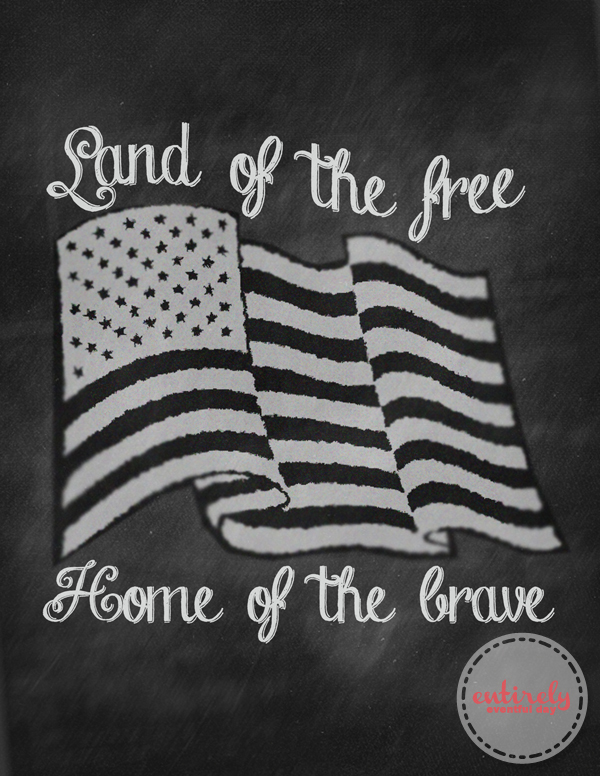 You are more than welcome to download this 8x10 high-resolution printable and use it to your heart's content. After all, it's a free country!